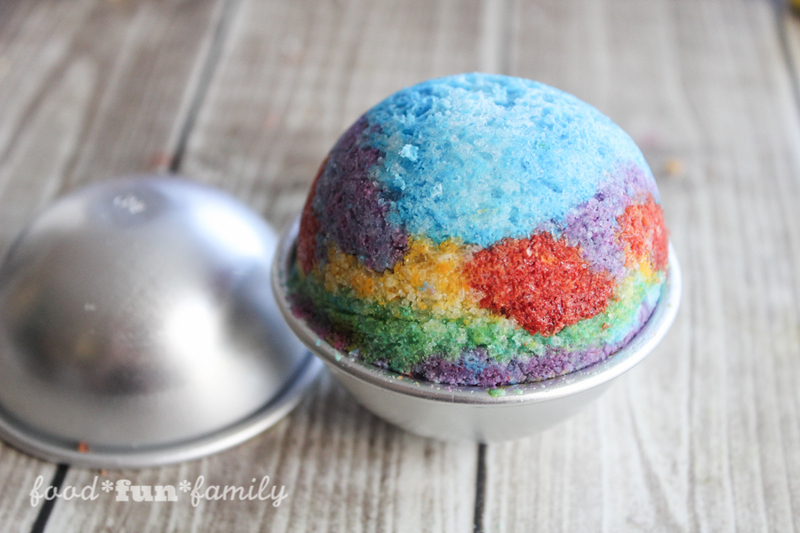 Fun, fizzing, rainbow bath bombs are a great bath treat for little ones or adults! 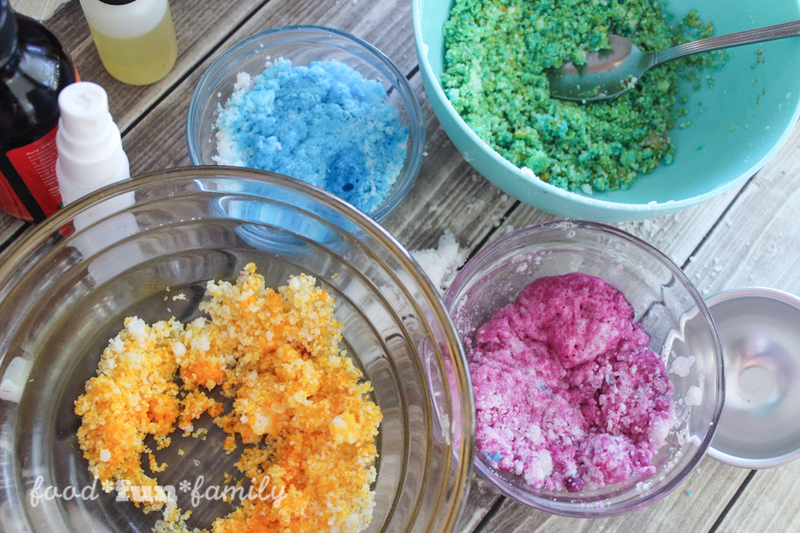 The whimsical colors make soaking in a hot tub more fun and relaxing by adding some skin softening and moisturizing ingredients along with a delicious scent! 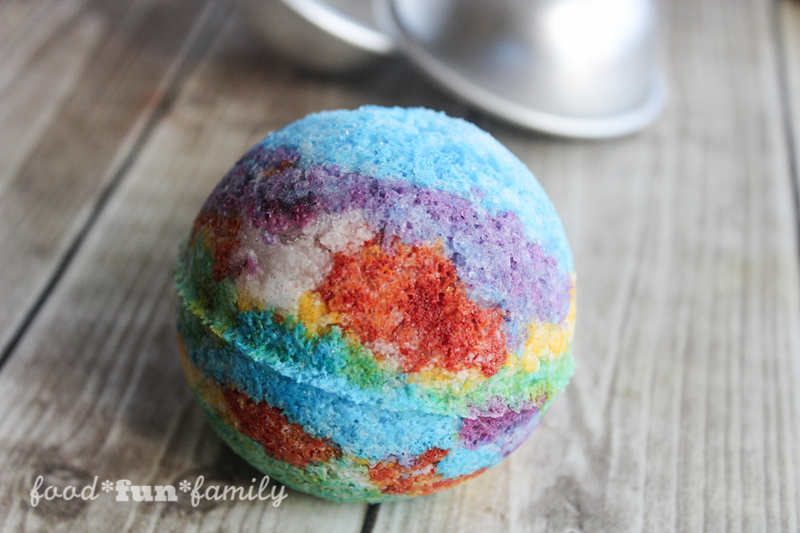 If you love the look of these Rainbow Bath Bombs scented with lavender and orange check out the recipe below! Note: affiliate links are used below to point you in the right direction to find supplies that you might not already have on your shelves. 1. 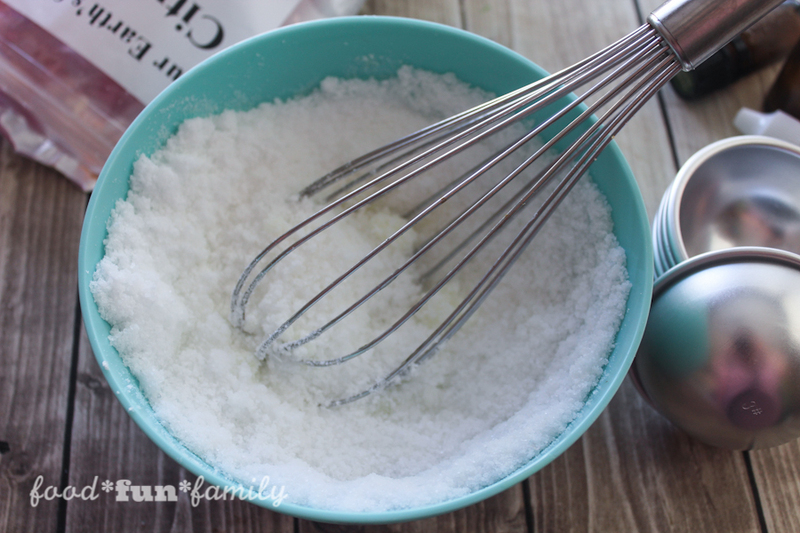 Combine baking soda, citric acid, and cornstarch well; Stir in oil slowly. 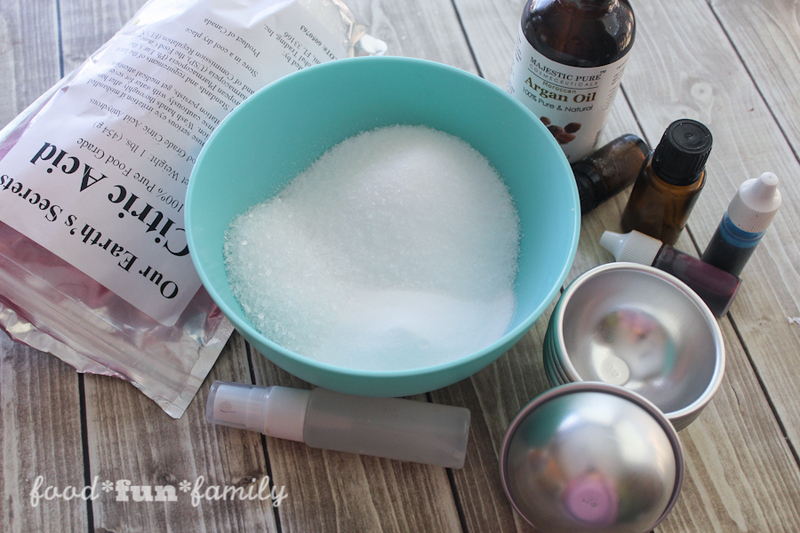 Add essential oils to mixture. 2. 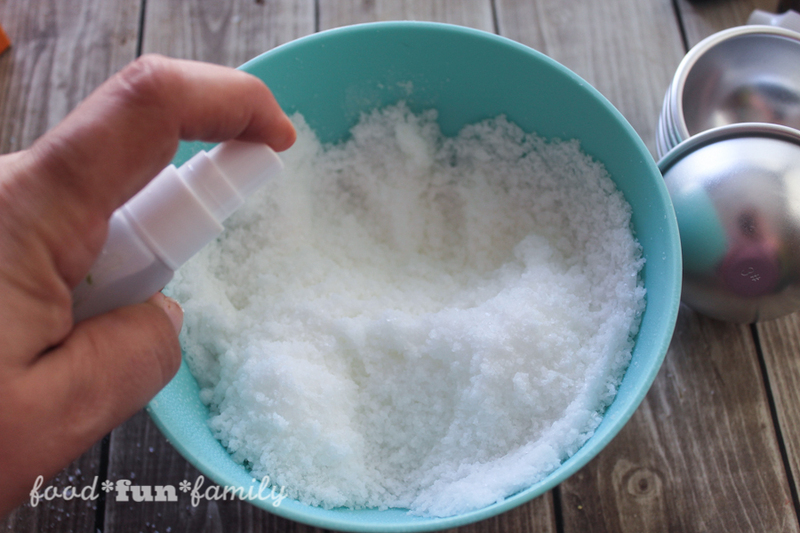 Spray water one spritz at a time, mixing with your hands until it is just barely damp. You do not want it bubbling, just wet enough so that it sticks together when squeezed tightly. 3. 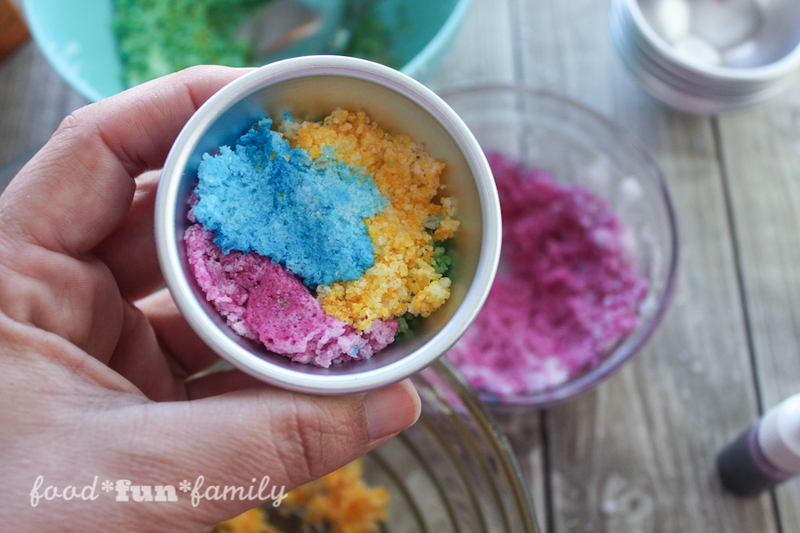 Divide mixture into smaller bowls and add a few drops of colorant to each, as many as you want to make. Mix up well. 4. Spray the inside of each bath mold with some non-stick cooking spray so that it’s easier to remove the balls after they’ve dried. 5. Alternate adding colors to the bath molds, a couple of teaspoons at a time, pressing firmly into both sides of mold. 6. Fit both side of mold together and allow your bath bomb to dry out overnight before gently removing from the mold. 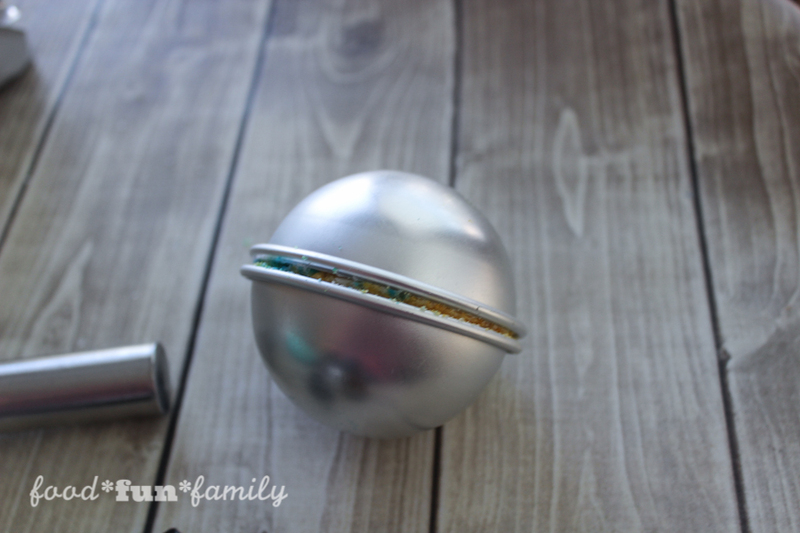 I used these metal molds to get a big ball shape like you might find at the stores but you could also use a silicone shaped mold or even a muffin tin. 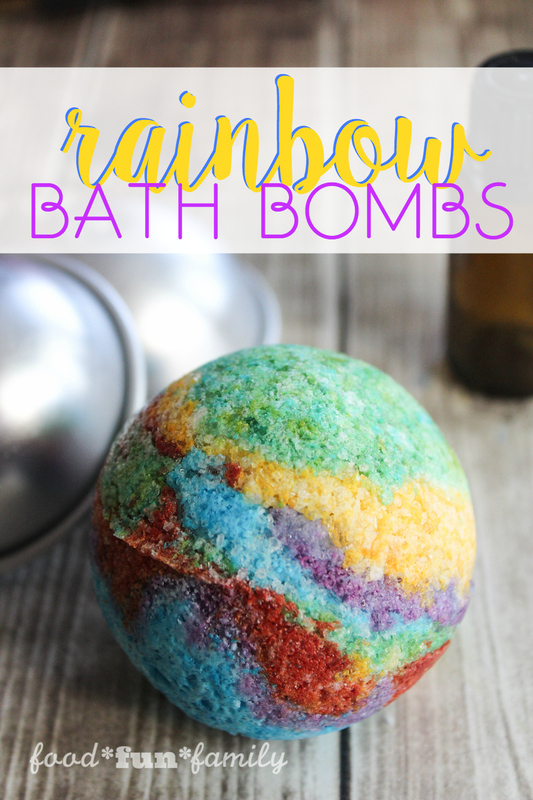 Keep bath bomb in a cool dry place until ready to use. To use: drop one bath bomb under warm running water and relax in the warm bath! These bath bombs look pretty cool. They look easy enough to make. I might have to try making some. These are so nice, and so easy. I appreciate that you put good places to buy the supplies!!! Id love to try this! Like the combination of the colours.